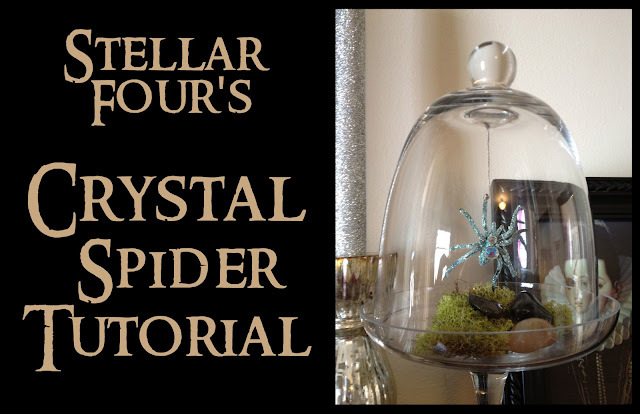 Crystal spiders are a simple and elegant way to decorate for Halloween. 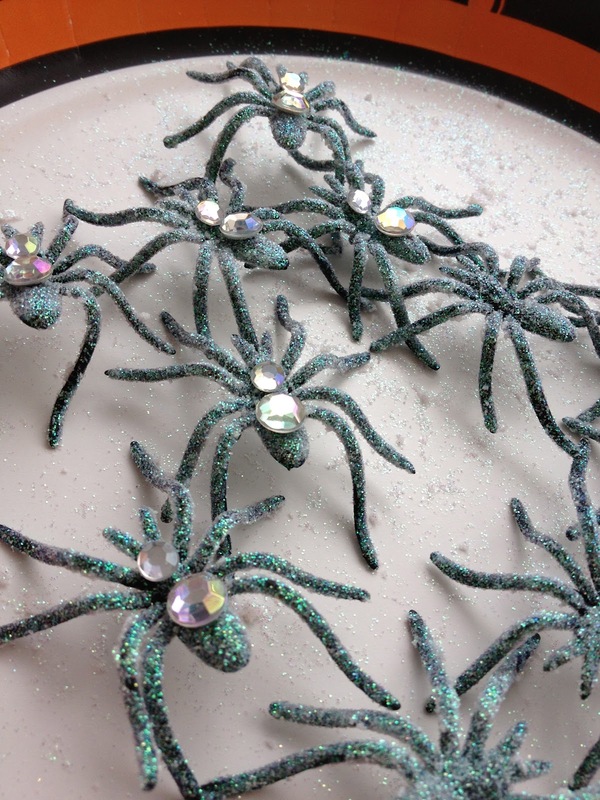 Sprinkle the glittering arachnids on the dining table, mantle, or in any other room where you plan to entertain. 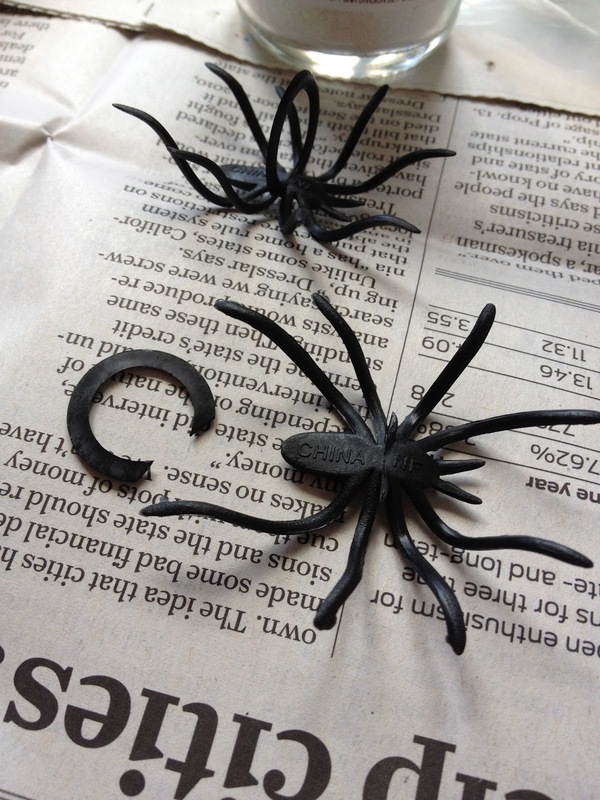 The little spiders will impress guests and your friends will never have to know how easy they are to make. Ignore the Model Magic clay. You won't need it for the spiders but you will for the mushrooms. First, snip the rings off the spider rings. Third, apply a thin cover of Mod Podge to each spider and cover it in glitter one at a time. I found it was best not to pour the glitter directly onto the spider because it comes out way too thick and uneven. The best way is to place the wet plastic toy on a piece of glitter covered wax paper and gently shake it around. If you miss any spots, carefully press the blank area into the pile of glitter. 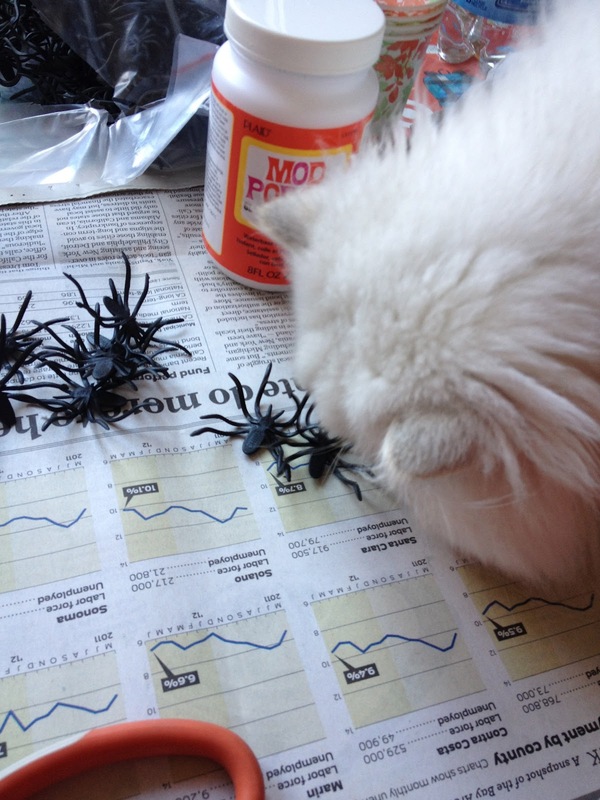 Set the spider aside and repeat. 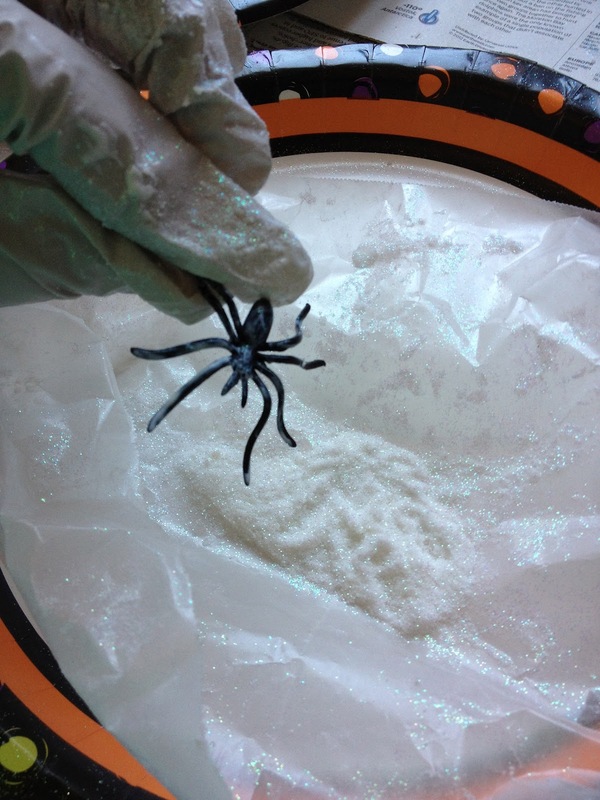 Fourth, apply the gems to the back of the spider after the Mod Podge has begun to dry. Place the smaller stone on the thorax and the larger below it. 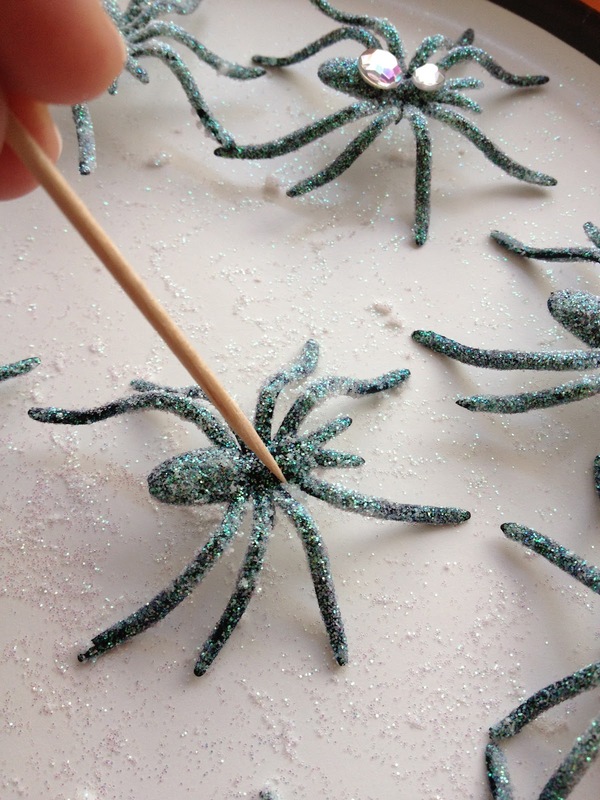 Last step, after the spiders have had a full day to dry, you can use a toothpick to carefully dislodge any glitter chunks from the spiders. This will ensure the spiders have a more even appearance. Bonus step! 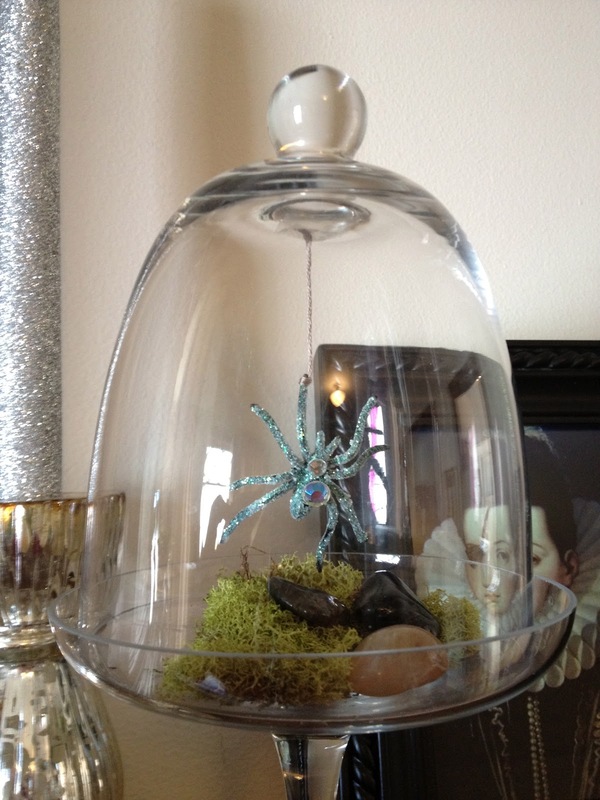 Making a spider in a glass cloche is super easy. You'll need a cupcake stand like this (or any other small glass holder with a knob on top, grey embroidery thread, clear tape, a bit of moss and three polished stones. Determine how much thread you'll need to dangle the spider above the moss and stone covered base, then carefully tie the thread to the tip of one of the spider's legs. Cut off any excess. Finally, use a small square of the tape and use it to attach the thread to the top of the dome. The knob will obscure the tape. 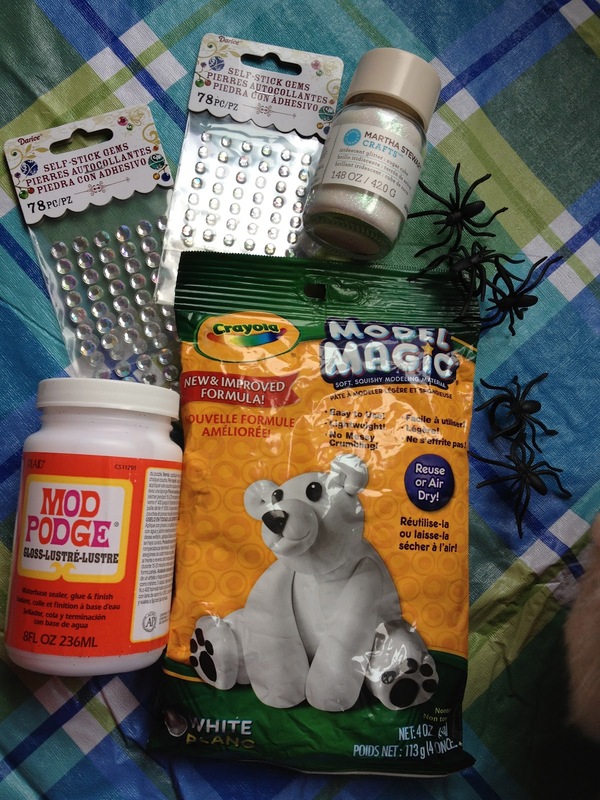 Make sure to come back on Monday for more of Stellar Four's elegant and crafty Halloween decorating starter kit!